Say what you want about cultural differences, Tokyo might be the coolest city in the world. Get informed. But even with google translate on-deck, navigating a city that is literally and figuratively poised in the future yet bound by customs of the past can still be a challenging task. But fear not, we're going to breakdown how to navigate between talking toilets and monorail sushi to 24hrs of deep culture immersion done right. 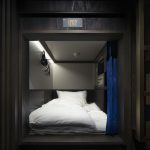 Accommodation: Capsule hotels are a Japan-only phenomenon (as far as we know) so take a deep breath and get ready for your first futuresleep. 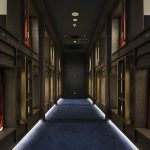 Our favourite is Prime Pod in central Ginza. Second choice is First Cabin Tsukiji, within eyeshot of the famous fish market and equipped with more spacious pods. 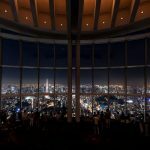 If capsules aren’t your thing, we get it (side-eye), pick up a hotel in either Ginza or Roppongi area to stay well positioned instead. Morning: There’s only one way to start a Saturday in Tokyo, Tsukiji Fish Market. The actual marketplace is open to the public from 10am, until then there’s heaps of sushi shacks serving the freshest fish in the world for a shoulder-to-shoulder curbside breakfast of kings (and emperors). 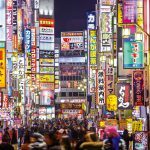 Continue with a walk over to Ginza shopping district and hop on the metro to Meiji-jingumae station. 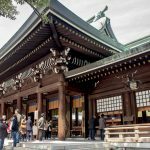 The Meiji Jingu is a must-see, arguably the most famous Shinto shrine in Tokyo and hidden away from the city in a beautiful park. 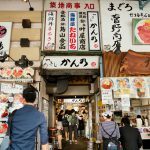 From here continue over to Takeshita Street in Harajuku to see the crowds and indulge in 'super-kawaii' culture. Afternoon: Most importantly, ramen for lunch is the pro choice. The vending machine plays a key role in your ordering process, so don't ignore it on the way in (or check out real life monorail sushi, at Genki Sushi). After exploring Harajuku shopping district, aim for Roppongi Hills building at sunset. 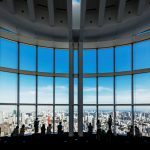 The Sky Gallery on 52nd floor is the second best view of the city, with majestic Mt. Fuji in the background. 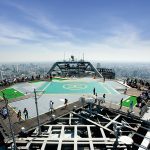 The first best view is from Sky Deck on 53F, an open air panoramic experience. If you want to go even deeper, pop into one of the exhibitions at the Mori Art museum within the building. Dinner: Naturally we aim for authentic Japanese to experience the local cuisine. Before making restaurant reservations, we need to know how many people are planning to join our table. Please rsvp via your arrival documents. Karaoke: That's correct, we're going all in. The sickest karaoke rooms in Tokyo are private to us, so dust off the classics and ready your favorite crowd-pleaser, in this town power ballads will get you everything. Dancing: One word, RAUL. 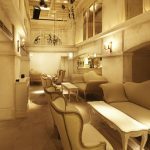 The freshest champagne lounge/bar in Roppongi is private to our people, with the addition of a few choice locals to increase the vibe.